One of our favorite movie series as a family is Despicable Me! My youngest son and I just had a sick week and managed to take time to watch the DVD for the first time. 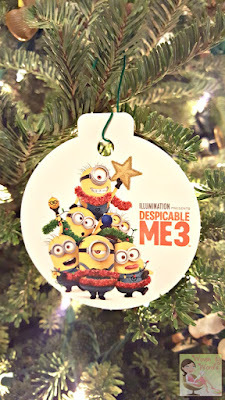 We received the movie for review and to add to my Holiday Gift Guide! The kids will be going on winter break and Christmas is just around the corner. That means two things: gifts and boredom! 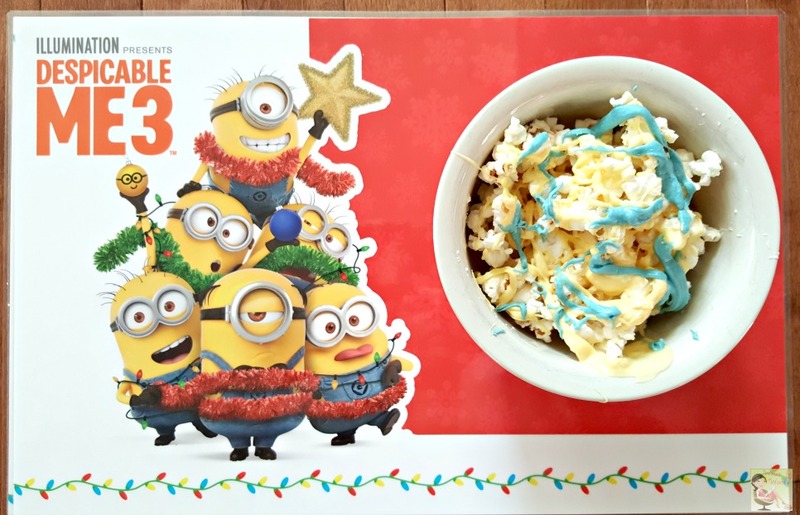 You know that movies are on your kids' lists, and Despicable Me 3 should fit the bill completely. Illumination, the studio that brought you Sing, The Secret Life of Pets and the Despicable Me franchise, continues the adventures of Gru and his family in Despicable Me 3. After he is fired from the Anti-Villain League for failing to take down Balthazar Bratt (Trey Parker, “South Park,”Team America: World Police), the latest evil mastermind to threaten humanity, Gru finds himself in the midst of a major identity crisis. But when a mysterious stranger shows up to inform Gru that he has a long lost twin brother — a brother who desperately wishes to follow in his twin’s despicable footsteps — the former super-villain rediscovers just how good it feels to be bad. Despicable Me 3 will be available on 4K Ultra HD in a combo pack which includes 4K Ultra HD Blu-ray™, Blu-ray™ and Digital. The 4K Ultra HD will include all bonus features on the Blu-ray™ disc. · 4K Ultra HD is the ultimate movie watching experience. 4K Ultra HD features the combination of 4K resolution for four times sharper picture than HD, the color brilliance of High Dynamic Range (HDR) with immersive audio delivering a multidimensional sound experience. · DIGITAL lets fans watch movies anywhere on their favorite devices. Users can instantly stream or download. · Freedonia Visitors Guide — Welcome to Freedonia! See all that the town has to offer with this interactive map. From its world class cheese, to its beautiful coastline, Freedonia has it all! · Wanted Posters — Have you seen these Minions wanted for various crimes? 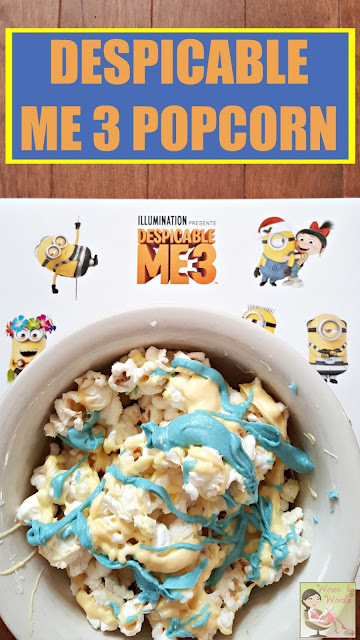 Now, I hope you'll want to make this Despicable Me 3 Popcorn! Super simple. Melt half a bag of white chocolate chips in a microwave safe bowl. Separate the other half into two other bowls. Melt them and add food coloring to the color you like. 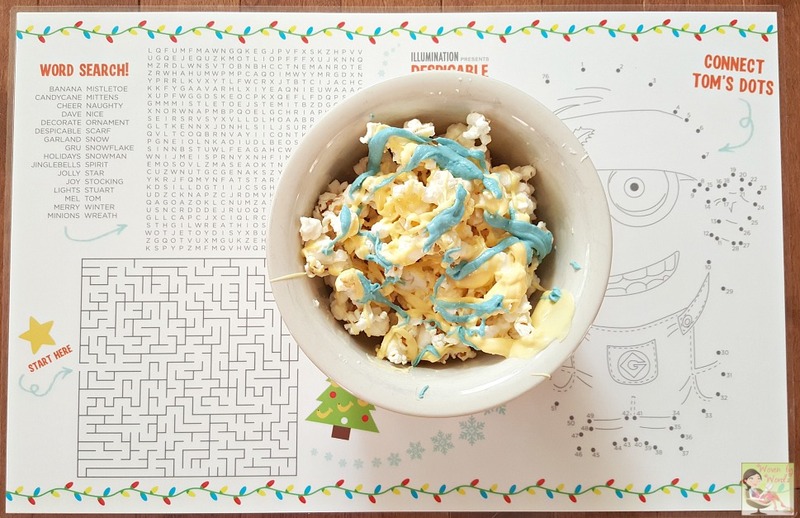 Pop the popcorn, and while it's still hot, pour the white chocolate chips onto the popcorn and stir well. After that, you can drizzle on the yellow and blue white chocolate. 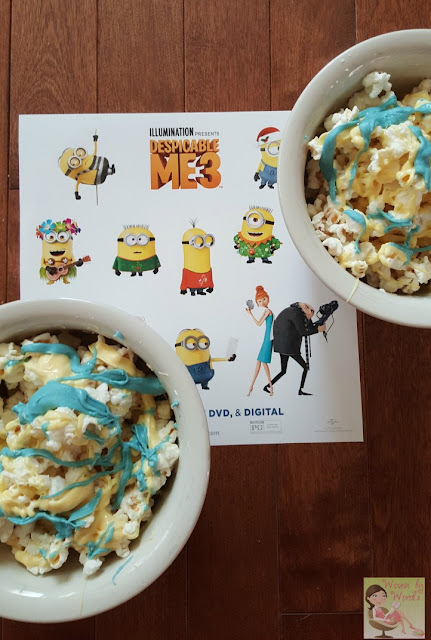 Voila...Minion Popcorn! Be sure to grab the movie and enjoy a night home with the family! You can also download & print the ornament and activity sheet! !